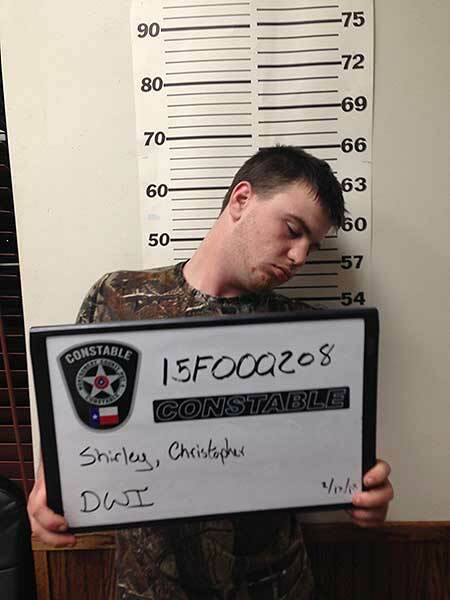 PORTER, Texas -- Deputies say a Conroe man was so impaired after his arrest that he appeared to be falling asleep for his mug shot. 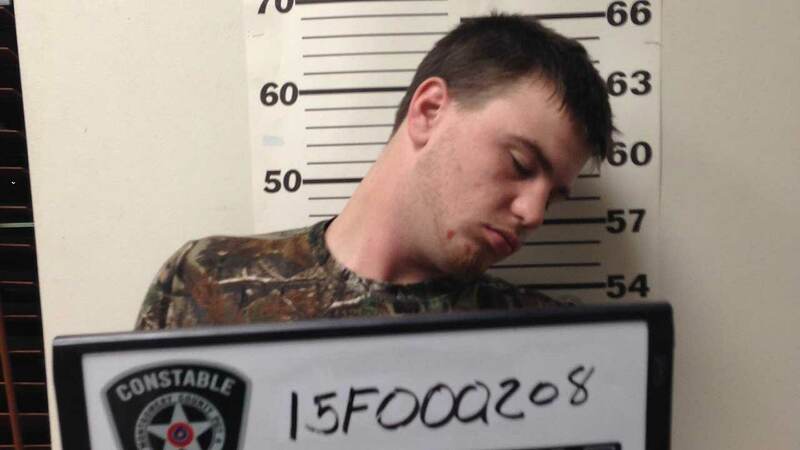 Around 5:30pm Thursday, deputy constables responded to a call about a man, later identified as Christopher Shirley, 20, asleep in his pickup truck at the Porter Walmart. Shirley was reportedly asleep in the truck while it was in reverse, backing into a Honda sedan. A witness tried unsuccessfully to wake him. The deputy noticed Shirley was squinting, his speech was very slurred and he had trouble walking. The deputy says Shirley failed a field sobriety test, and then admitted he was already impaired when he drove to Walmart. EMS checked out Shirley before transporting him to the Precinct 4 office. Authorities say Shirley was so impaired, he appeared to be dozing off while standing when the deputy took his photograph as part of the office booking process. Shirley was taken to Kingwood ER for a blood draw and then to the Montgomery County Jail in Conroe. He is charged with driving while intoxicated. Deputies applauded the actions of the witness who called authorities, preventing an impaired driver from leaving the parking lot, potentially saving lives.